BugaBoo Confections hand makes many unique cookies for your enjoyment! The recipes that have been chosen are not only different but meaningful. 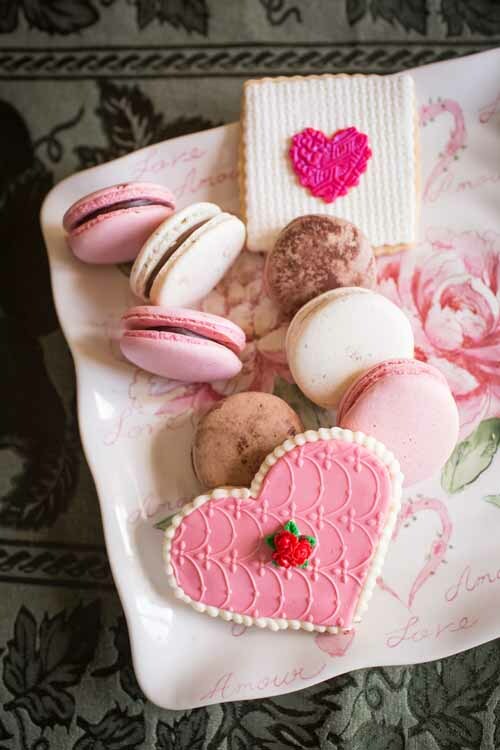 These treats make wonderful favors to really add a personal touch to your event. We are working on new & little delicate recipes all the time, so keep checking with us for new additions! 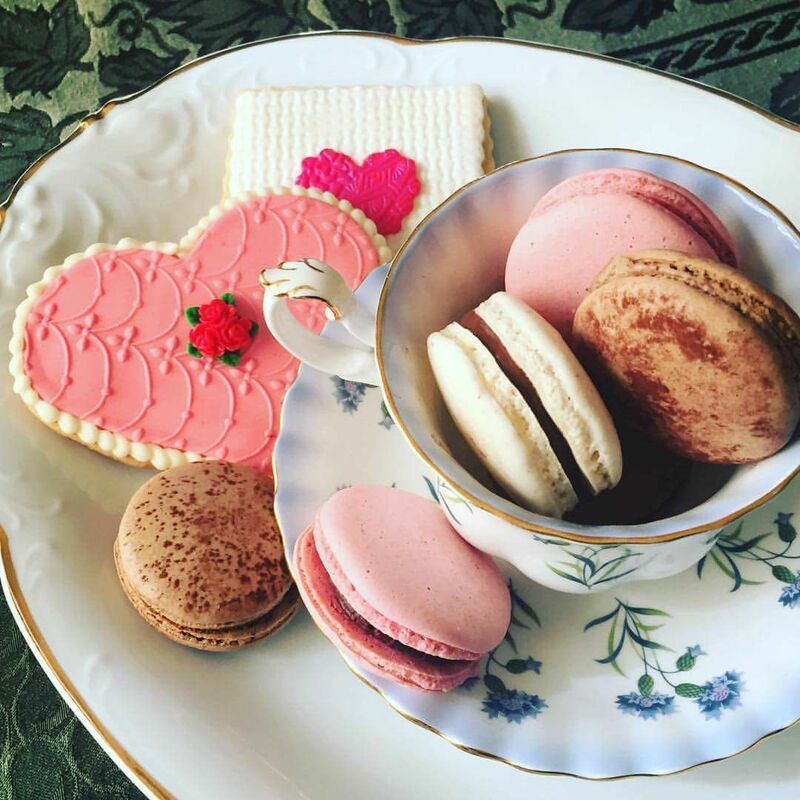 We appreciate the beautiful & delicate nature of many a French Pastry, but love the challenge & pretty sweetness of the Macaron! 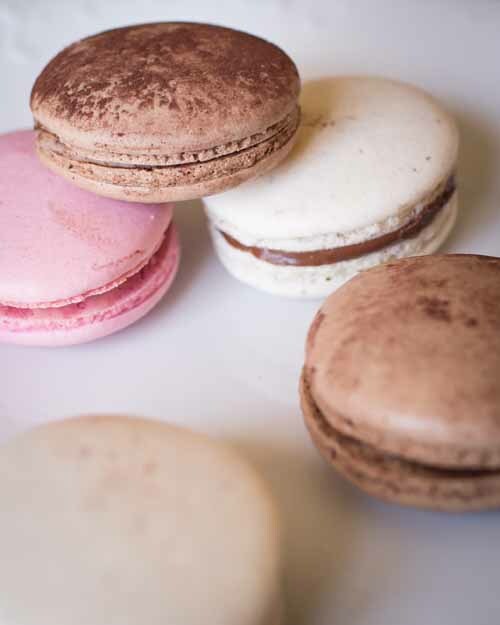 Macarons are bite-sized almond meringue cookies that sandwich a delightful array of fillings. They can be a colorful, delicious addition to any occasion. Then, there is the matter of the Madeleine. These are shell shaped tea cakes that can (and should!) be dipped in chocolate and other yummy glazes. The cakes themselves also come in many flavors such as citrus flavors & the classic vanilla. I love cookies of all kinds, so regional favorites, such as Benne Wafers, are one of my favorites. This recipe comes from Charleston, South Carolina. These small, thin, light sesame cookies are tasty (and great with a cup of tea!) The southern tradition states that if you eat sesame seeds, "Benne" seeds, they will bring you good luck! What a wonderful sentiment! These sweets are bagged and "tied with a bow!" A three dozen minimum is required. Price starts at $3.50 per bag. Also, being of Italian heritage, I love Italian Cookies. This class of cookies are usually not the typically super sweet cookies we are accustomed to. They are wonderful around the holidays, but also fantastic as favors for Showers & Wedding favors. 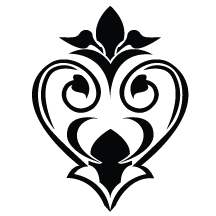 Examples that are offered are: Biscotti, Amarette & Pizzetts. Salted Chocolate Chip cookies are also available! Photo credit to Andowen Photography. Contact Carri today to learn more! ​This recipe yields a cookie that in crispy on the outside and tender on the inside. A vast array of designs can be created – wedding cakes to Star Wars! Decorated with Royal icing and other forms of sugar art. All can be packaged beautifully to match your event. A minimum of three dozen cookies are required per order. Pricing starts at $3.00 each. Springerle Cookies are dense, German sugar cookies (almost like a shortbread) that are created using beautiful molds that are pressed into the dough. The dough can be flavored with natural oils such as almond, anise, lemon and orange. 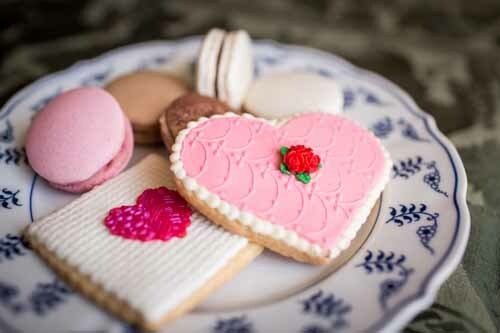 These delightful cookies can vary in size, shape and design – and also can be dipped in chocolate! Prices vary depending on the cookie. These sweet treats are a classic, beloved New England treat (also called "Gobs" in the Pennsylvania area). They are dense, Dark Chocolate cakes sandwiching a "fluff" marshmallow buttercream. There are many flavor combinations that can be created. All you need to do is ask! In the Fall/Holiday months, Pumpkin Whoopie Pies with cream cheese buttercream filling are always available. They're a great, easy substitute for pumpkin pie! You can special request different flavors, we also offer Red Velvet & Chocolate Chip. Whoopie Pies start at $22.00 per dozen.